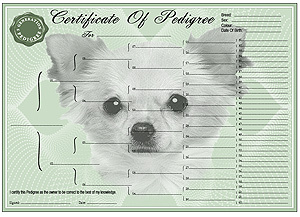 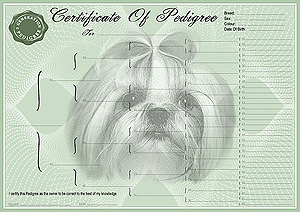 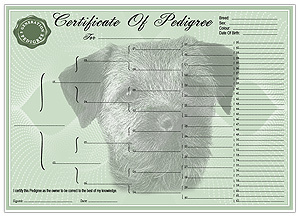 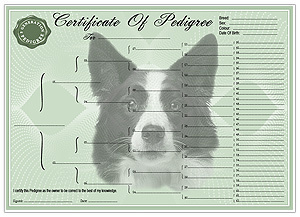 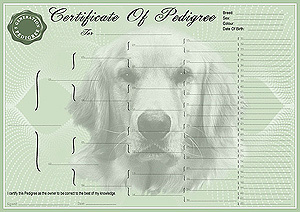 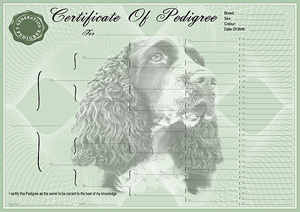 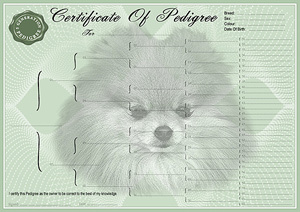 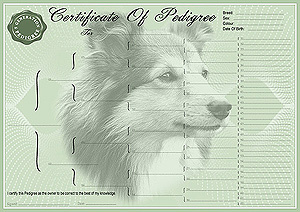 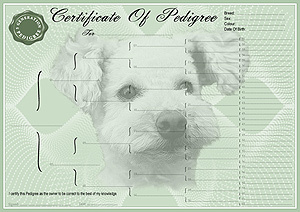 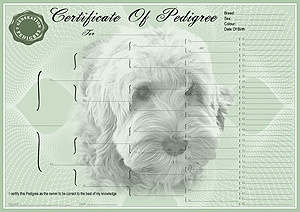 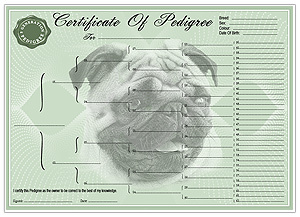 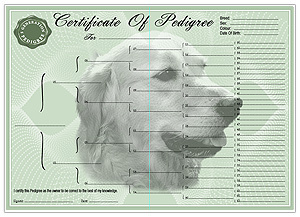 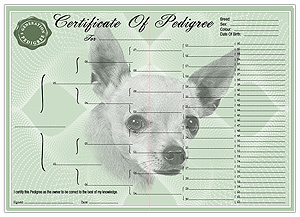 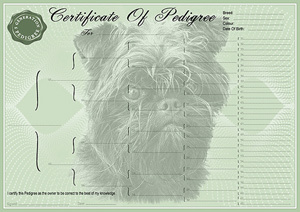 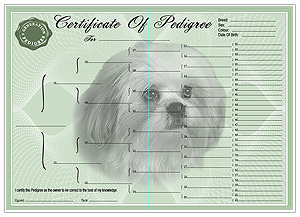 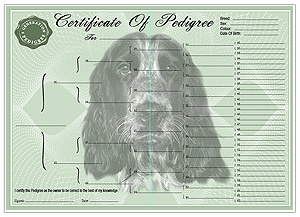 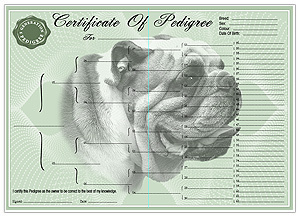 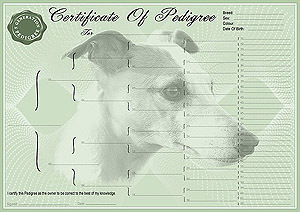 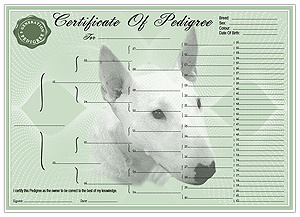 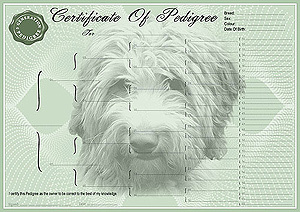 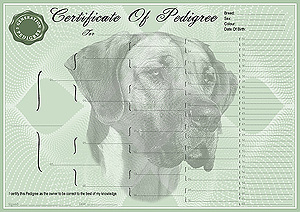 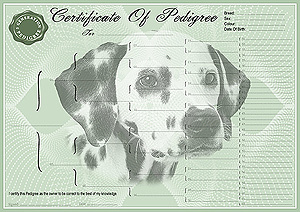 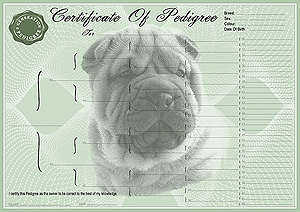 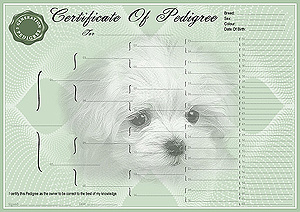 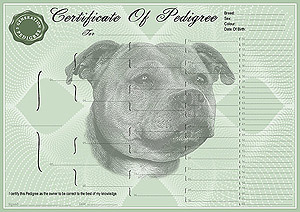 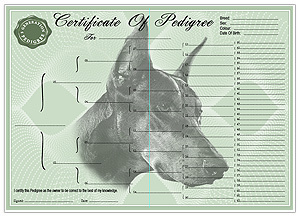 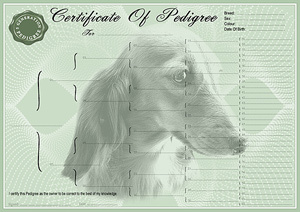 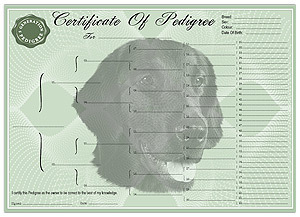 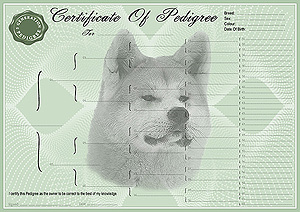 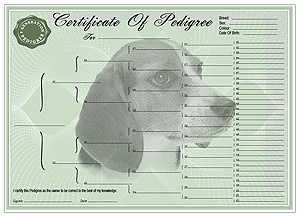 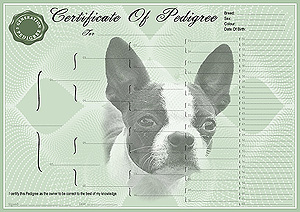 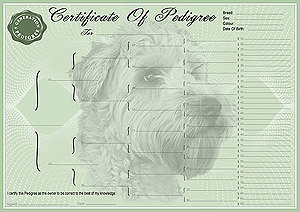 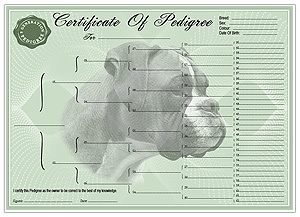 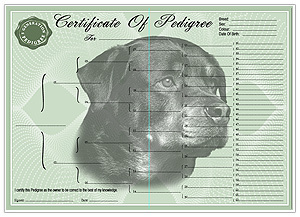 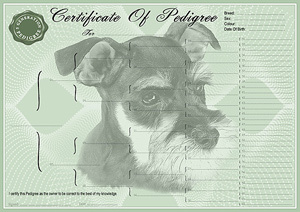 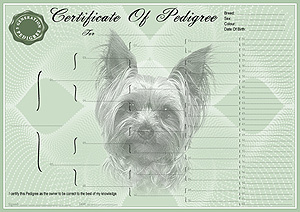 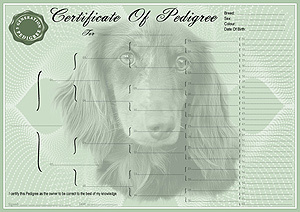 You can purchase blank Pedigree Certificate Forms online at Pedigree Form Maker. 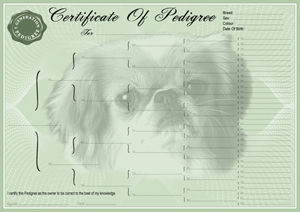 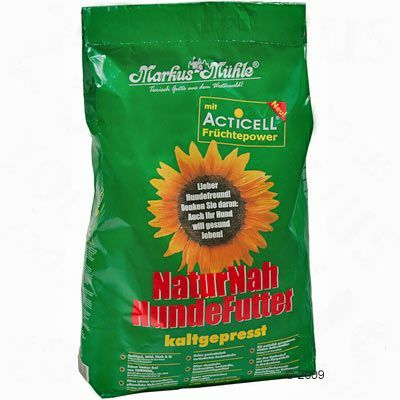 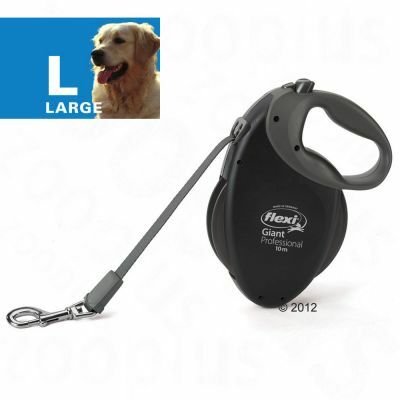 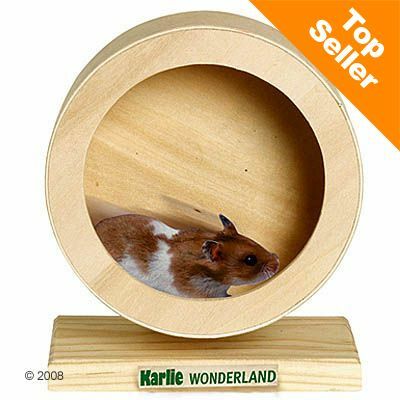 Our Pedigree Certificates / Pedigree Forms are available in 3, 4 & 5 Generation Pedigree Forms. 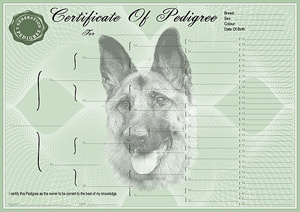 Our Pedigree Certificates are printed on high A4 120gsm laid paper. 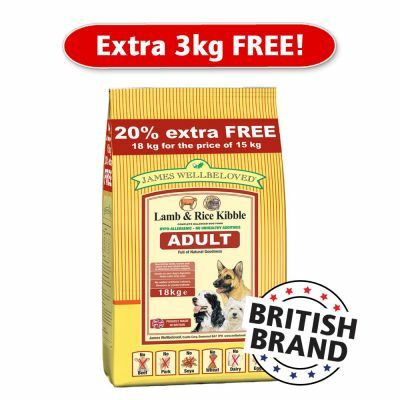 When purchasing our high quality pedigree certificates you will receive 6 x A4 Printed Pedigree Forms, blank and ready to complete them with the required information. 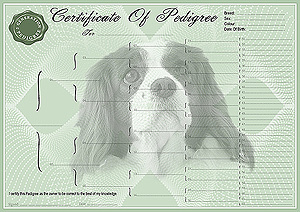 Our Post & Packaging charge includes costs of hardbacked envelope and cello bag as well as Royal Mail Postal Charges to ensure the item arrives to you in perfect condition.